Infinity Box is one of best professional Software recovery and repair tool of most of the mobile brands having the full support of since 2005 to till and non stop giving us updates. Infinity-Box as the name has support for 70% mobile phones brands that,s why professional flasher have trust on Infinity team. on October 06 2016 Infinity team has release MTK Tool version 1.58, SPD Tool 1.24 also Qualcomm tool latest version giving us a new way of flashing read and write flash on Android phones. CM2 latest crack is not possible to tell now that's why no one can crack it. On that download area, you will find. 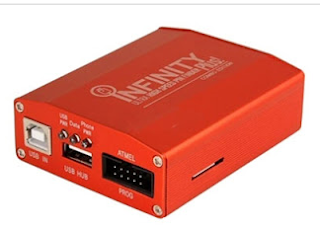 Infinity-Box CM2 Latest version. Flash files of Chines and other brands phones. The latest version of CM2 has the full support of read-write or format unlock most of then mobile brands of the world. We always give a suggestion for our readers to avoid cracks if you're a profiterole software or hardware engineer and have shop then do not use a crack version of flashing tool always use original flashing tools. What,s New models and features no CM2 latest version. Recover your mobile software and data. Read and write of flash on latest smart CUPS. FRP (Factory reset protection) unlocking). Calculate unlock code by IMEI. Virus removes from a phone with ADB and USB. Easy to reset disable by EE. Factory file and Bin file write support. And many more features have the latest version. Mobile which you have USB drivers must be installed on your PC.